Free YouTube Downloader for Mac is not only a 100% free video downloader, but also the best video player and manager. The following steps will guide you to having a good experience with this software. 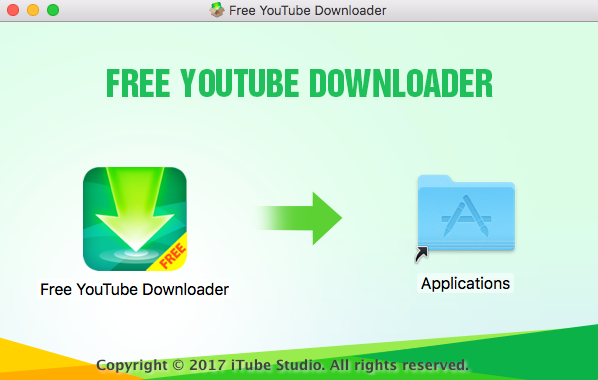 Find the Free YouTube Downloader Mac version in the website and click "Download" button to download this program on your Mac. 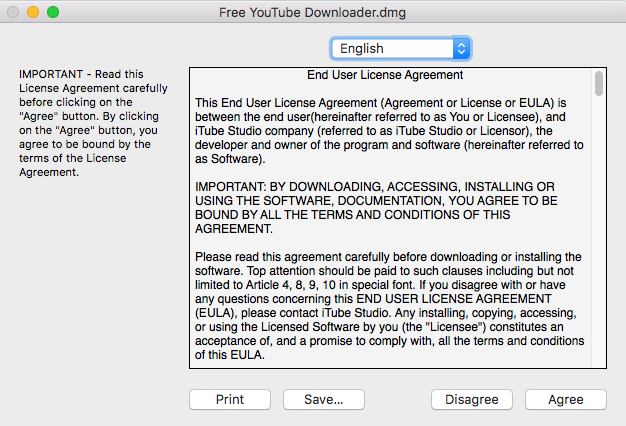 After successful download, double click the downloaded file and you will get a "End User License Agreement" windows, read this License Agreement carefully, Click "Agree" to continue installation if there is no problem. Then drag the program icon to "Applications" as the image below to install this software. When the process of installation is over, double click the program icon to launch the Free YouTube Downloader for Mac. Note: In order to install or uninstall Free Video Downloader successfully, quit Safari, Chrome or Firefox.